The TC is huge and full of features. A few bugs are to be expected, but you should feel good about it since it seems most professional / studio released games of late are damn near broke they're so flawed. Yeah there were frequent crashes. It wasn't that bad for me, maybe one crash every few rounds, but my friend had a crash in almost every round. They did fix things pretty fast though, and there were no similar issues with BF:H so I guess they did learn something. So I've been playing a bit of the first mission. Unfortunately, my framerate is pretty slow. This isn't your fault though, I don't play that many games anymore and my laptop is pretty old. I'll try to finish it anyway. The intro level was great, loved the atmosphere. The city under siege is a lot of fun so far. I knew about the 3d-skyboxes, but I haven't seen them implemented in a level before. Definitely adds a lot of atmosphere, especially seeing the giant alien ship hovering above the city! I have to relearn all the gameplay mechanics, but it's not too hard. Also love the use of humor so far. Don't be a wanker, talk to a banker. Also love the use of humor so far. Don't be a wanker, talk to a banker. It does help to lower the resolution, I still get some sudden framerate drops from time to time but like I said thats not your fault. Most of the time it's perfectly playable, I just need to save often. My progress is super slow so I'm still in level 1 lol. But I like how the city gets gradually torn apart, really gets the idea across that the city is actually being invaded. Touche. If it makes you feel better, this is the first time in 2015 I'm playing something duke-related. I'll post again if I made some substantial progress. Well, I made it about halfway through the Wharf, but the lag is getting too bad now so I can't properly play the game . At least not on my ancient laptop. I'll find a workaround (probably going to install this on my parents pc so I can play whenever I visit them lol) but at the moment I'm stranded. I'll just leave some short reviews about the stuff I did play. It's obviously very well made. 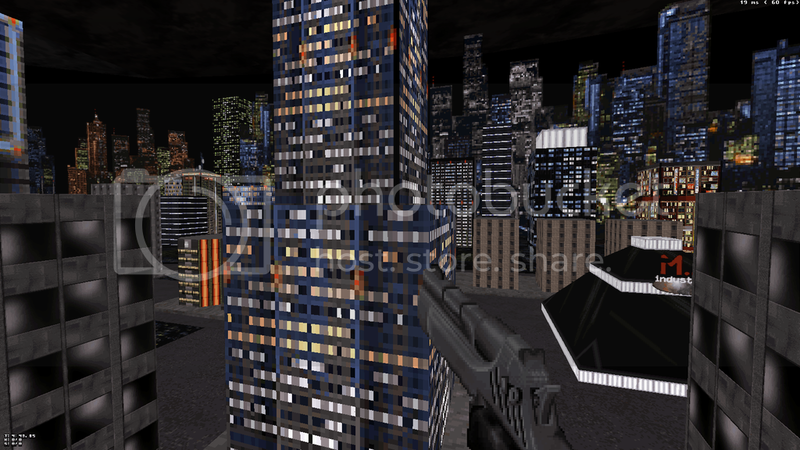 City under Siege: as I said the hovering spaceship and the destruction really sell the idea of an ongoing invasion. The map feels like a throwback to the original game, but adds a lot of modern elements at the same time (scripted sequences, team mates, sense of progress etc.). Also enjoyed the shrunken parts, and the lego house. Ammo was a bit sparse, but I managed to pull through. The alien bit reminded me of Imperium, but this might be a coincidence since both are inspired by Unreal. Didn't really enjoy being restricted to one weapon, but it didn't overstay its welcome. The final sequence with the alien space ship was nice. It reminded me: at one point we wanted to add a similar sequence to the Imperium episode. The alien space shuttle (at the end of L4) was supposed to be flyable, but we eventually abandoned the idea. Big Trouble in China: I remember the beta version of this map, fun romp. One of the cleanest maps Sang made. Again, the skybox and the unreachable scenery add a lot to the level. Funny how the gameplay is almost the opposite of the last one: ammo, guns and health everywhere and a contant supply of baddies. Fun map, also great subway ride at the end. The wharf: as I said, I'm not able to finish this yet. I liked what I saw so far, especially the sushi-restaurant. Well designed and balanced gameplay. If you open up the amc_settings.txt file, you can change some of the performance options to hopefully help a little bit Glad you're enjoying it so far despite the fps problems though! The alien bit reminded me of Imperium, but this might be a coincidence since both are inspired by Unreal. Merlijn and Co have seen a pic or two of the WIP map when I sent them some emails asking permission to use X64 plus an Imperium concept, and some advice on the texturing at one point. @ Forge: tried that, didn't improve enough. @: James: cool, I'll try that! Of course I'm enjoying it, loved episode one and this one seems to be on par so far. About the alien ship, yeah I figured it was inspired by Unreal. If the design wasn't enough, the music definitely gave it away. Really cool, I still love that game. haha, watch out or your map will take years to finish! Although, to my credit, I never abandoned my projects. They just.. went into coma. Another area of Hong Kong. 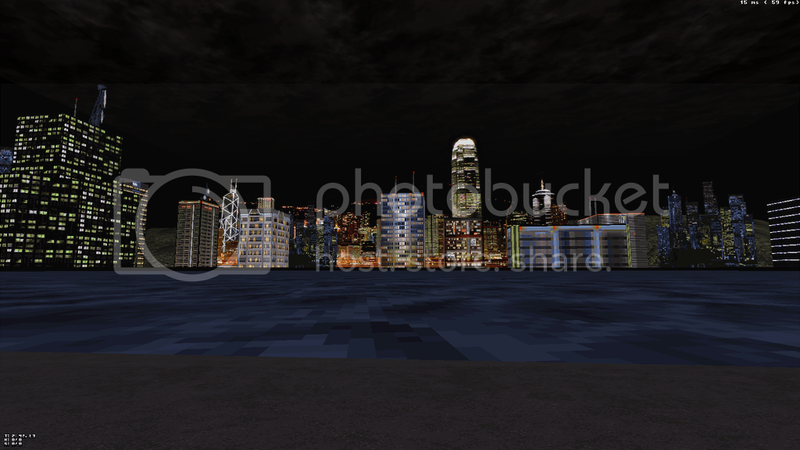 Felt Episode 2's Hong Kong level was slightly lacking in the verticality and conceptual grandness department.